This is by far the most stunning, custom built, 1955 Ford F100 Pickup Truck, because of many reasons. 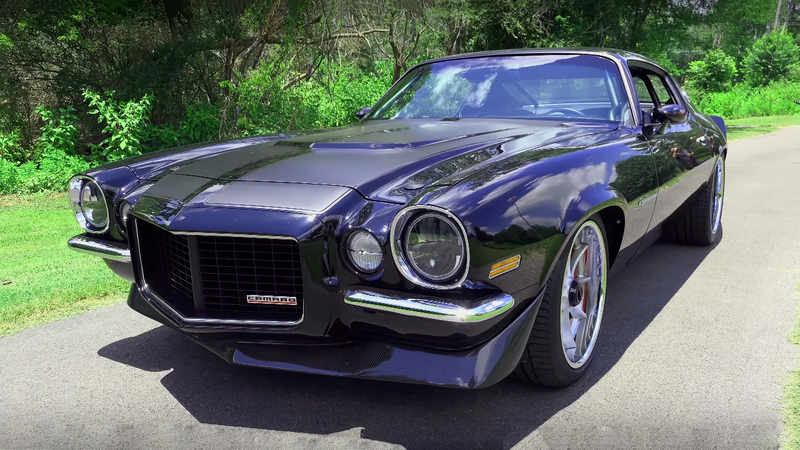 First, it looks absolutely awesome in every aspect and second every single detail is crafted till perfection. Actually, there are more than 24000 custom details on this truck. Just look at the ’55 classic body, which at the same time gives a modern feeling with a beautiful stance. 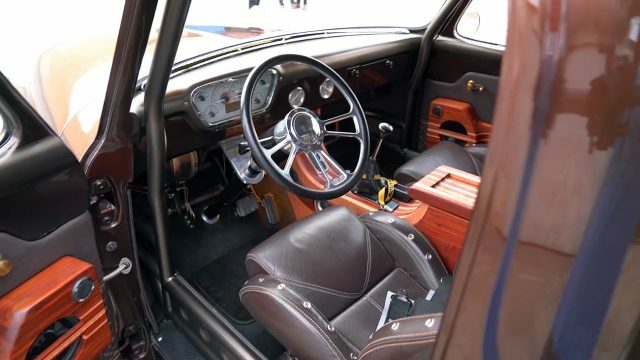 The interior on the other hand has been completely customized, with high quality leather, Sparco sport bucket seats with Sparco harnesses, beautifully integrated roll cage and custom details made from a real wood. 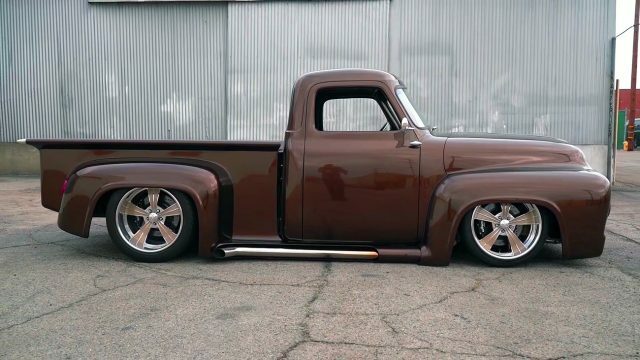 From the technical point of view, this 1955 Ford F100 Pickup Truck is pure beast. 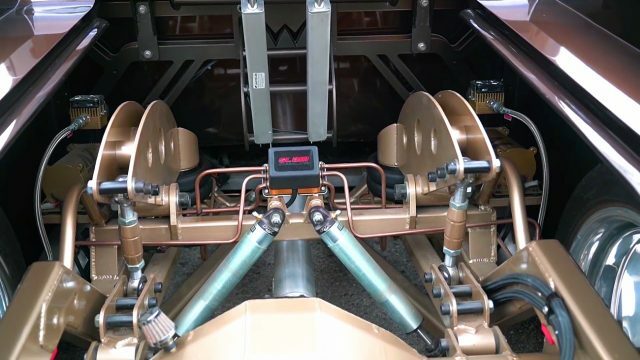 It lies on a fully adjustable custom suspension with AccuAir system, Slam Specialties air bags and Fox shocks. 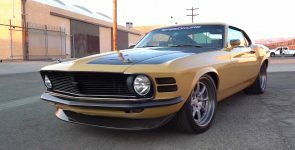 It is powered by a Ford 302 cubic-inch, 5.0-liter small-block Coyote V8 engine with Kenne Bell Mammoth 3.2LC Liquid Cooled supercharger on top, and produces 638 horsepower at the wheels. 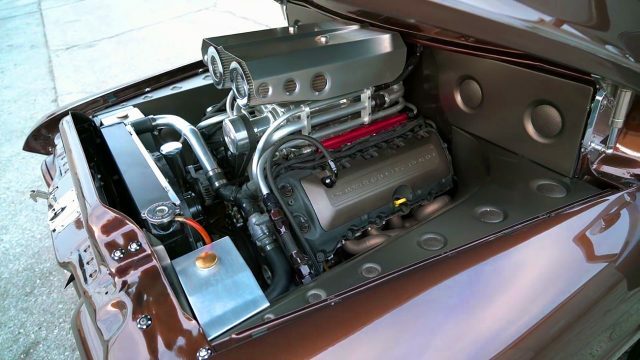 The Coyote engine is mated with a four-speed Ford 4R70W automatic transmission with overdrive. 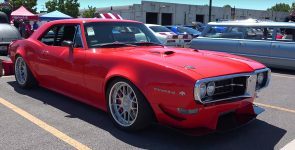 In addition, it is equipped with a Wilwood brakes with six-piston calipers and 14-inch vented rotors and Intro wheels wrapped with Nitto tires. As an example only the custom chassis at this truck cost $50k and complete built cost more than half a million dollars.